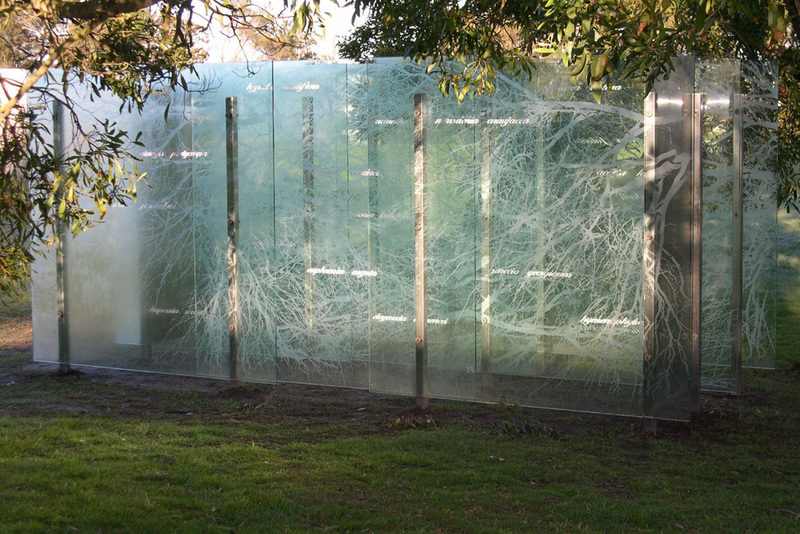 A glass structure – between a maze and a conservatory. A reflective, contemplative space of memory. A structure that captures ephemerality. A space of uncertainty – a necessary expression for our era. A museum of lost botanical species acknowledges the changes, both through evolution and from what has been destroyed by our cultures, as compared to the 19th century museum where the idea of fixity prevails. 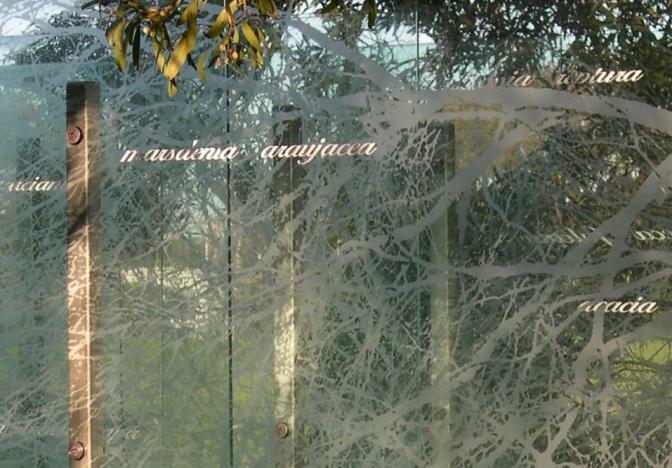 The glass panels fixed into the ground overlap to create the membranous walls. A form that is both open and closed, the viewer walks along, between and around the space. The space is designed to create a perceptual experience with the material, the viewer being immersed into the work through reflection and shadow and becoming part of the work. It is also an informative space in a non-didactic manner. The texts and images offer fragments of information by naming and imaging the lost species. 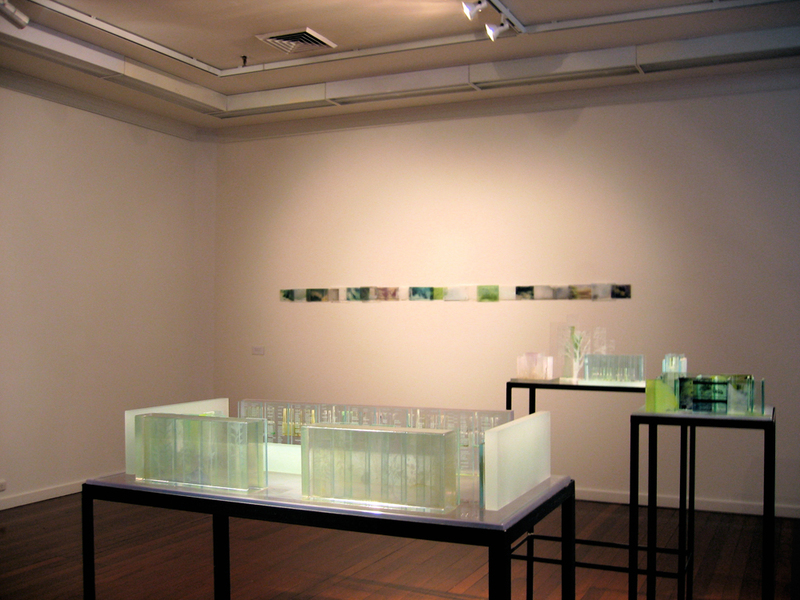 Ghosted onto the glass in translucent and transparent techniques, they shift from invisibility to visibility in varying light, and through a process of layering on panels. 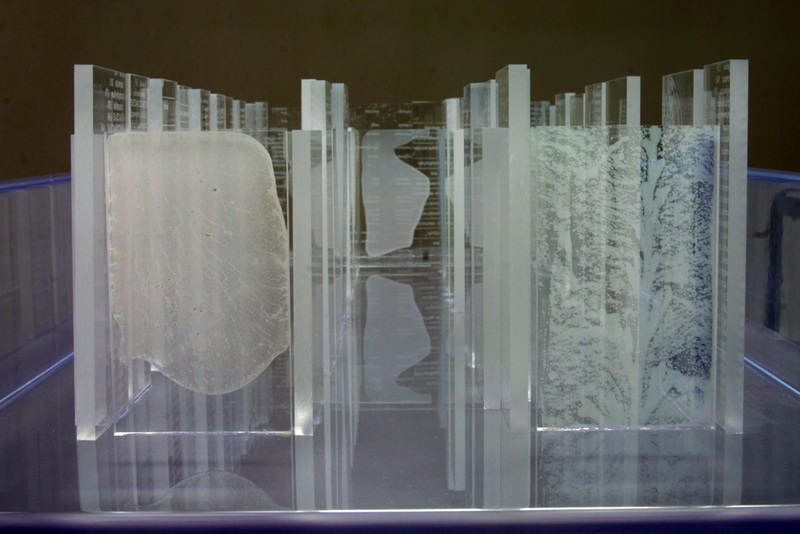 Within the glass are substances that create the veils, and translucent cloudiness, that echo the scientific glass slide, as the whole space itself echoes the museum glass vitrine of the natural history museum. Light, as it shifts, plays an important role in the expression of time. The work expresses loss, the desire to keep and capture and the failure and impossibility of this. No plants grow inside – it is a memory space, a memorial. 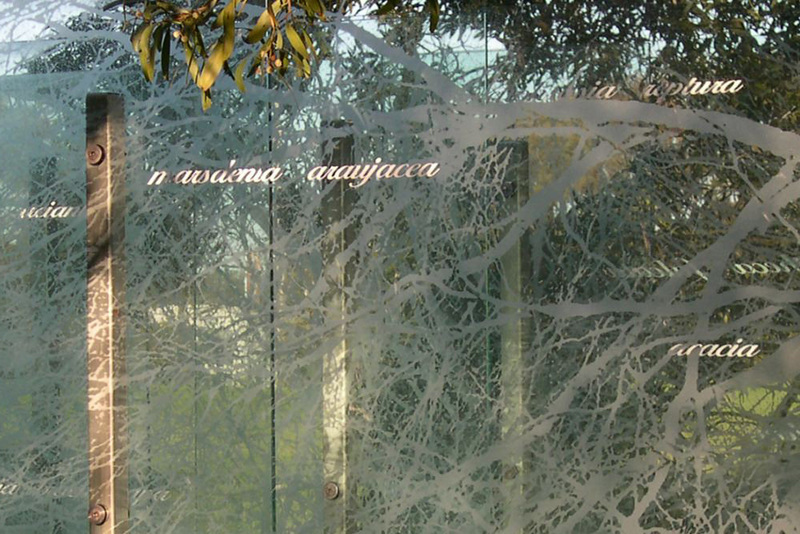 Trees should be located at specific points outside to create varying light and shade and casting of shadows on the glass. The ground is simply the ground that is around, that grades to a lower point in the central passage. It is a still point, where one sits, almost within the earth, and different from the fugitive experience of the space above. The form is not fixed but is variable according to its site.